A six word story and a picture – Travel Much? He still enjoyed the ballgame alone. 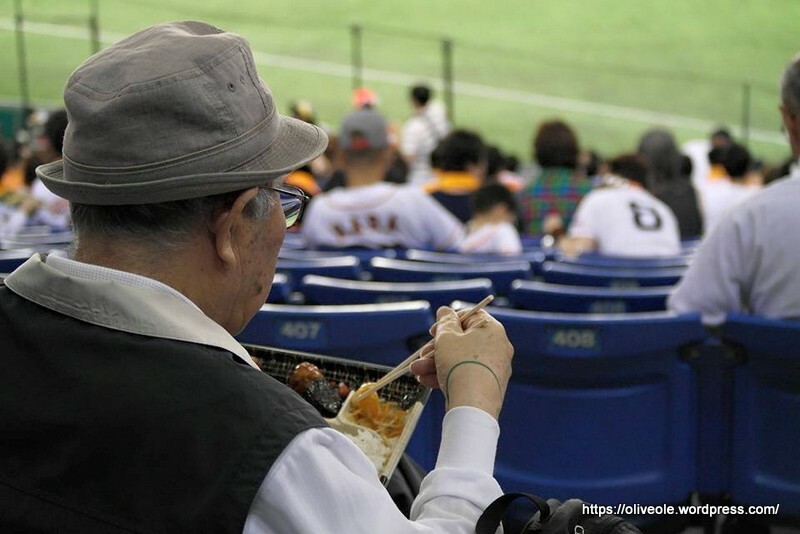 I just love this picture of the old Japanese man sitting in front of us at a ballgame in Tokyo, that I just have to submit it for the Daily Post’s photo challenge Dinnertime. Everyone around us were enjoying dinners and snacks, but this Gentleman is whom caught both my eye and my lense. The original post where I first showcased this picture, Reisebrev fra Tokyo, Play Ball, dag 5, is written in Norwegian. If you can not read any of the Scandinavian languages, I think you’ll struggle to understand my writings, but there are some awesome pictures in there. This is so sad! Something about the picture really makes me upset for some reason. Great work! Because he used to go with his Dad! Or his best friend! Aww, that is sad. Nice take on this challenge. Skillful! There really is an entire story (or four) in those six words. Those words with that picture – they make a story. The spine of the story is a little selfishness and a bit of sadness – both working together, outlining our lives. Pingback: The Show – 5th Edition | introversion, inc.
Great capture, I love how the man is in the moment. Thank you so much! This is my fav photo, I just love it. Thank you so much! I have been wondering the same thing; what is up with the rubber band?